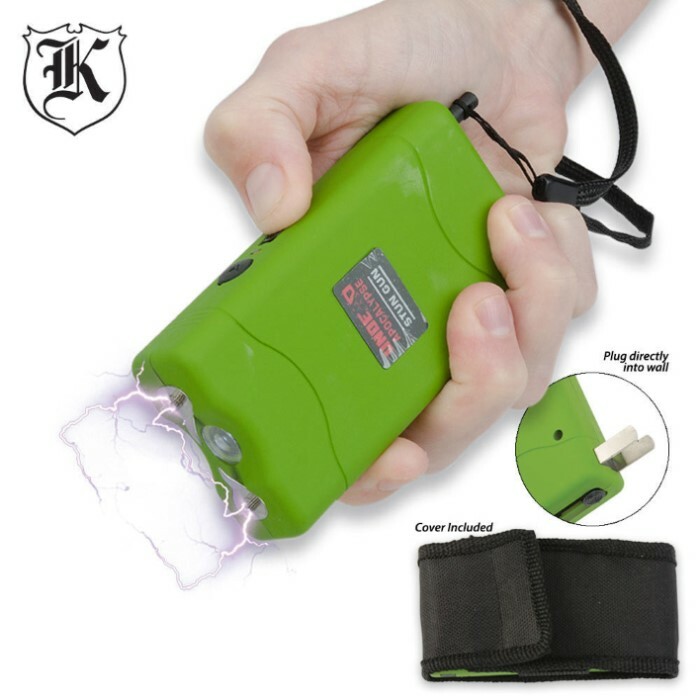 You'll be ready for the zombie apocalypse or any other foolish would-be assailant who dares to accost you when you are packing this 2.5 million volt stun gun! This compact but capable zombie apocalypse stun gun delivers 2.5 million stunning volts of electricity with dual stunning probes. A built-in LED flashlight is also useful. The safety pin lanyard disables the stun gun when detached. 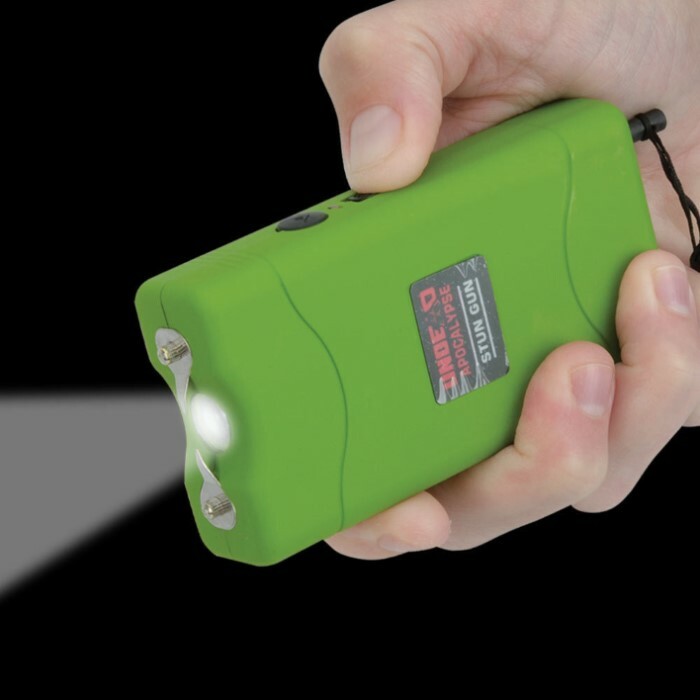 Best of all, this stun gun / flashlight combo includes a built-in retractable plug in that plugs directly into the wall, so you don't have to be bothered with tons of cords and chargers. Great zapping power, hold a charge for quite some time, small enough for a purse or pocket, bright led...the safety pin that activates it gets loose easily. Without the pin in place to activate the zap...it is just a flashlight or paperweight. As long as the pin stays tight, you'll have a nice deterrence in your hand, and the volts will easily drop someone allowing time to run for help. Nice lil stun gun for the money. The led light is bright enough for about 6 feet. The spark cracks with the sound of a firecracker. The sliding switch used for the led and to arm the stun gun could be better. It is too easy to slide the switch past the led detent and to the arm' position. Really great to keep on me I love this a lot! Bought this for my girlfriend, I haven't had the chance to use it on anyone but it seems decent enough. For the price its always worth to try it out.